Today we just got home from story book reading at the Library. The story that they listened to was about "fall". 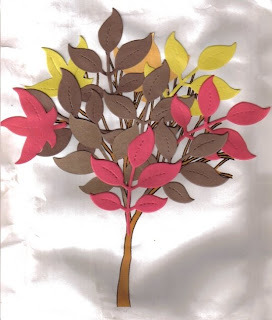 And after the story they made a picture of fall tree. Here is the picture that they made, It's pretty.